AB de Villiers, Shane Watson, Suresh Raina, Shaun Marsh, Saeed Ajmal, Brendon McCullum, MS Dhoni. Enough said! You know what you are in for this season. 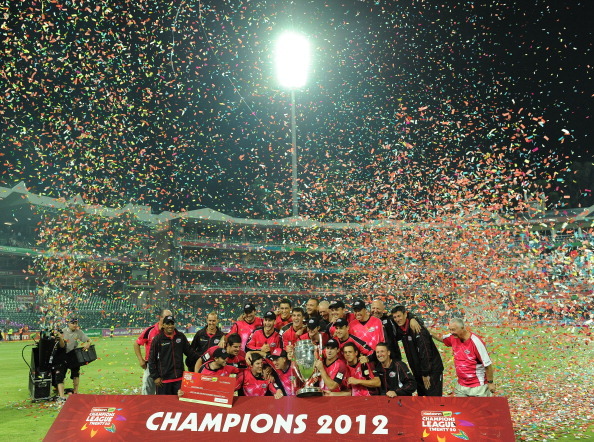 This edition of Champions League T20 is going to be a cricket fan’s delight, a statement that would offend the purists. How could it be a cricket fan’s delight if it is not in whites? Where is the competition between the bat and the ball? The purists would ask. Well, it’s a balance. The trick lies in looking this as a totally different ball game. It has its specialties and most importantly, with the kind of regional polarization it has created among fans and brought in an entirely new fan base, courtesy of Indian Premier League, it is here to stay. Say what may, this is indeed a cricket festival. So, let us move on. The players in focus in this article may not set the stage alight in this tournament, but I can assure you will see the glimpses of their talent at the very least. If used properly and with the help of supportive conditions, you might even witness them making significant contributions consistently. If we are fortunate enough, we can entertain the possibility of them doing a Pollard or a Sunil Narine or a Chris Morris or a Ravichandran Ashwin- all of them do have the potential to scale similar or even greater heights. Certain restrictions are used while selecting the entries for the list. I would like to put them forward right before you get to know them so that it can help avoid questions like why so and so were not included despite possessing the same ability. • Players who are still new to international cricket, but have already created an identity for themselves based on their talent which makes them quite popular to Indian cricket fraternity. For example: Quinton de Kock, Marchant de Lange, Mohit Sharma, Hamish Rutherford, Neil Wagner etc. • Almost all players from Indian Premier League, as avid watchers of the tournament we do know the players in and out, which rules out any chances of being taken aback by their performances. For example, even if Sanju Samson, Kevon Cooper or Karan Sharma etc. plays a match winning role, none of us will be left open-mouthed. • Players who have underachieved or been underutilised despite possessing the skill-set to succeed at the international level. For example, we would not be caught off guard if one of Adam Voges, Gulam Bodi, Sohail Tanvir, Imran Tahir, Henry Davids etc. produce a match winning performance. • Veteran T20 players – Alfonso Thomas, Roelof van der Merwe, Neil McKenzie (As surprising as it may sound – Yes, Neil McKenzie!) etc. With the qualifiers scheduled in Mohali and group stage matches in Rajasthan and Delhi, pace bowlers can breathe a sigh of relief as the pitches are expected to aid fast bowling more than other grounds in India. It is indeed a welcome news if you are a Faisalabad Wolves fan. Ehsan Adil, a 20-year-old tall right-arm fast bowler, with a nice high arm action, already has a Test cap. He claimed South African captain Graeme Smith’s wicket off only his third delivery in international cricket, one of his two Test victims. Although, there’s nothing more to add to his international exploits. He is, just like most other Pakistani fast bowlers, capable of swinging the ball both ways. Adil, who concentrates on bowling at good length, has not developed his death bowling skills so far. But he could still be a potent threat up front. Asad Ali, with a slightly round arm action, is quite the opposite of Ehsan Adil. He’s neither tall nor has a Test cap. He has represented Pakistan in ODIs and T20s though. To further complement each other, the 24-year-old specialises in death bowling besides being able to swing the ball both ways. He played for Pakistan in the 2013 Champions Trophy warm up match vs South Africa, picking up three wickets, including AB de Villiers with a delightful outswinger, a match which his team eventually went on to win. Add Saeed Ajmal to the mix, it will help you understand why they are here ahead of Sialkot Stallions.